Due to the wide range of input voltages in railway systems, typically three different versions of the same design are necessary to cover all of the input voltages from 24VDC up to 110VDC. RECOM’s RPA100H-RUW and RPA200H-RUW ultra-wide input voltage railway converters allow an all-in-one solution. 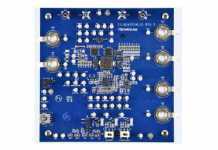 Their 10:1 input voltage range accommodates all standard input voltages of 24V, 36V, 48V, 72V, 96V and 110VDC in a single product, including all of the EN50155 transient limits. 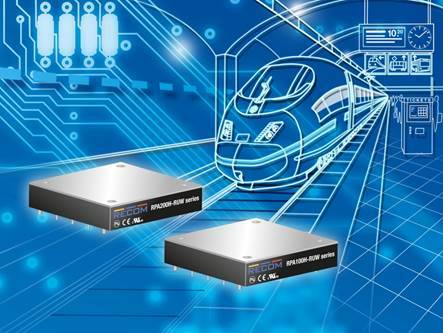 These converters are now available with 12V, 15V, 24V or 48V outputs to power a broader selection of rolling stock and high voltage battery applications. The converters have a consistently high efficiency over the entire 10:1 input voltage range and operate over a wide operating temperature range from -40°C to +93.5°C (when baseplate cooled). The case is fitted with threaded inserts to allow secure mounting to the PCB or bulkhead for use in high shock and vibration environments. They are certified to CE and UL/IEC/EN 60950 and come with a three year warranty. The RPA100H AND RPA200H series are available at all authorized RECOM distributors. For more information please visit recom-power.com.